Join side seams on waistbands & press open. 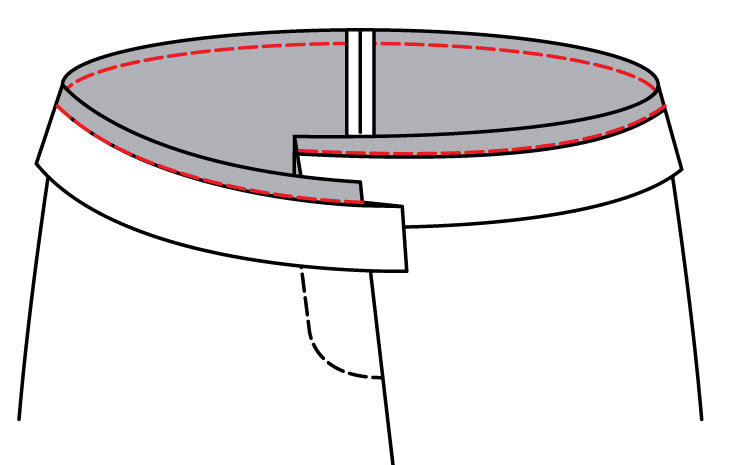 Fold up seam allowance of inner waistband along lower edge & press. Stitch top edges of front & back waistband, sides & button step on the right side. Then turn to right side & press. Pin waistband to waist of pants matching notches & sew (use the edge of inner waistband as a guide).. Fold seam inside the band & press. 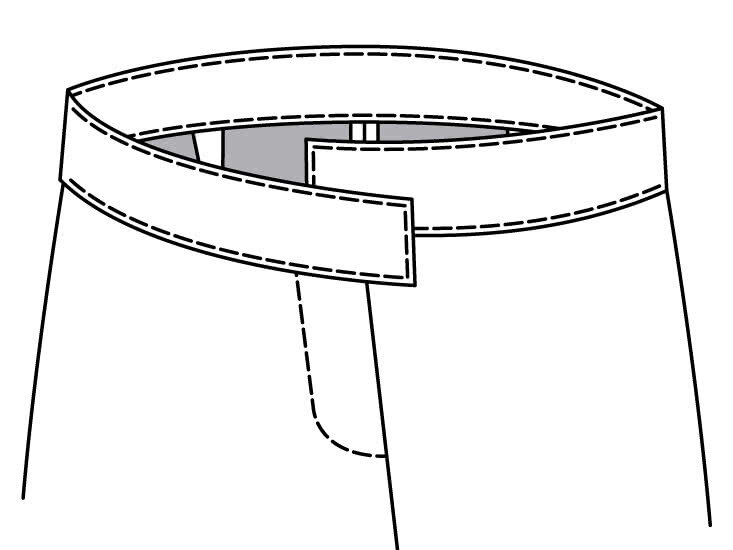 Sink stitch (stitch in the ditch) from the right side making sure that you catch inner waistband edge in the seam.